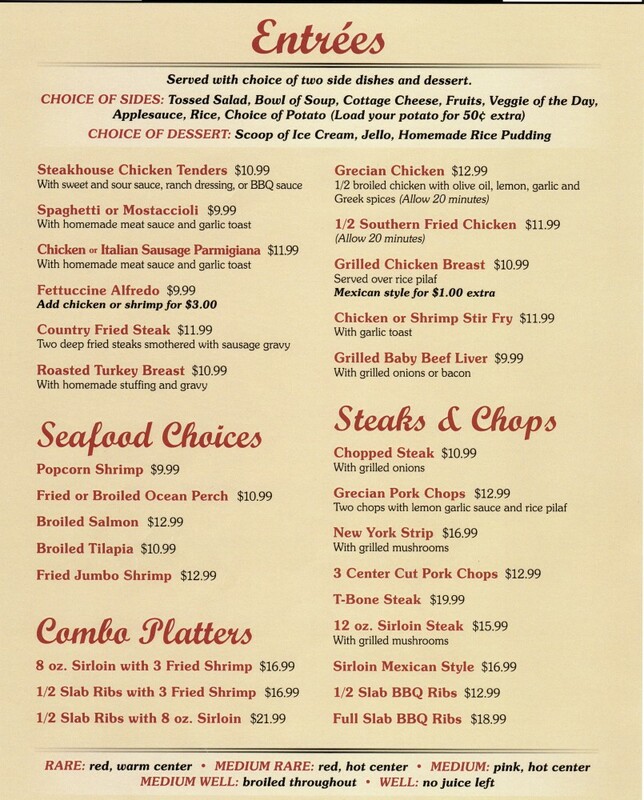 Here at Callahan's we believe the time of day should not control what type of food you can get! 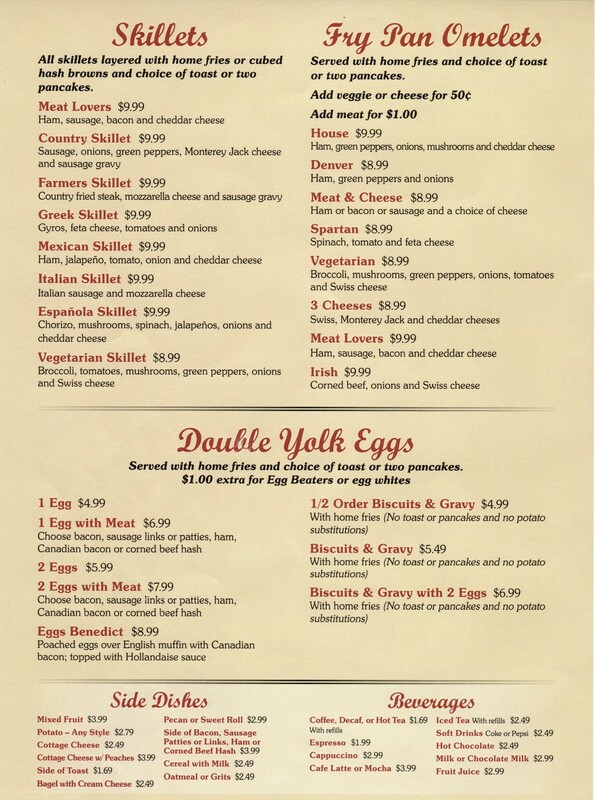 We offer breakfast, lunch, and dinner items all day, every day for your convenience. 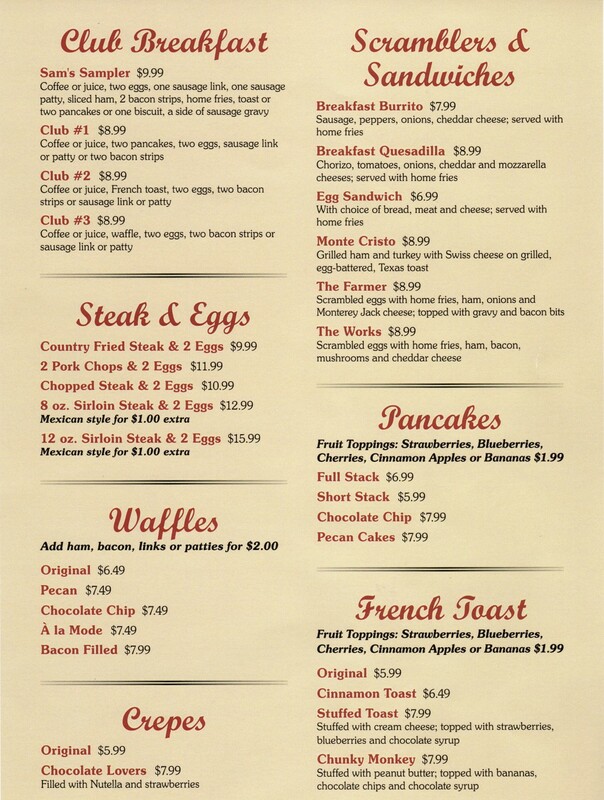 Among our breakfast menu, we have eggs cooked to any style, several delicious omelette choices, specialty waffles, french toast, pancakes, scramblers, skillets, and of course, the famous steak and eggs! 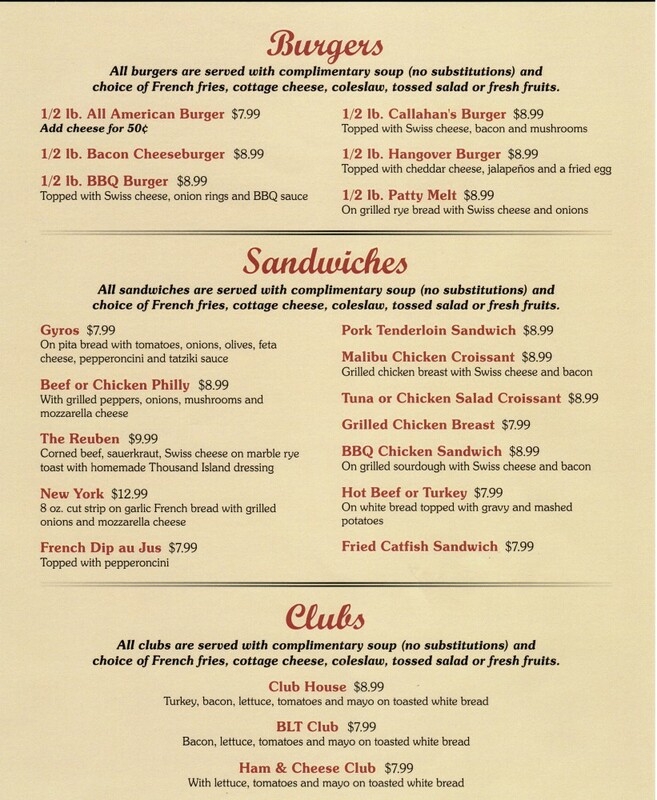 Our lunch and dinner entrees range from wraps, clubs, and manhattans all the way to specialty sandwiches, burgers, and prime-cut sirloins! No matter what your choice is, we promise you won't be disappointed! Make it a Loaded Potato w/ cheddar cheese and bacon bits for 50 cents!